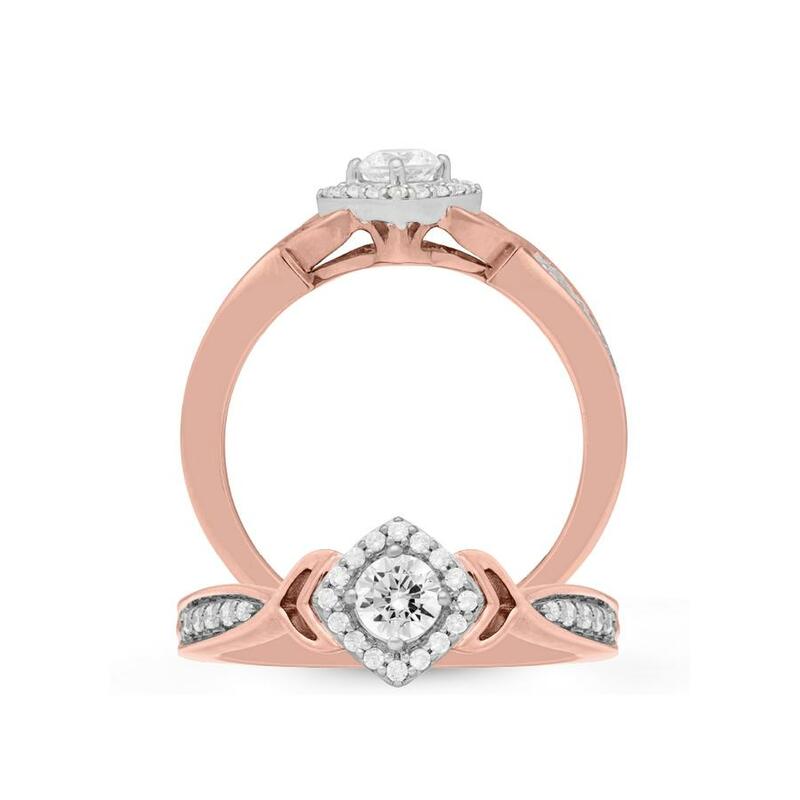 These Bridal pieces are inspired by Mermaids. They tell us love can be found in the most unexpected places. 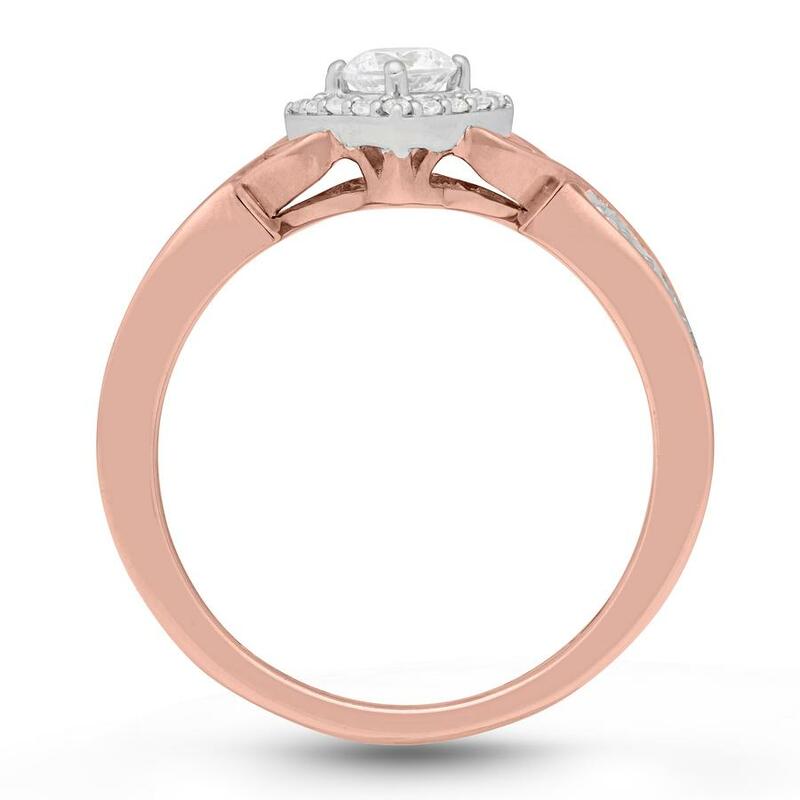 This ring is available in 14K ROSE GOLD. 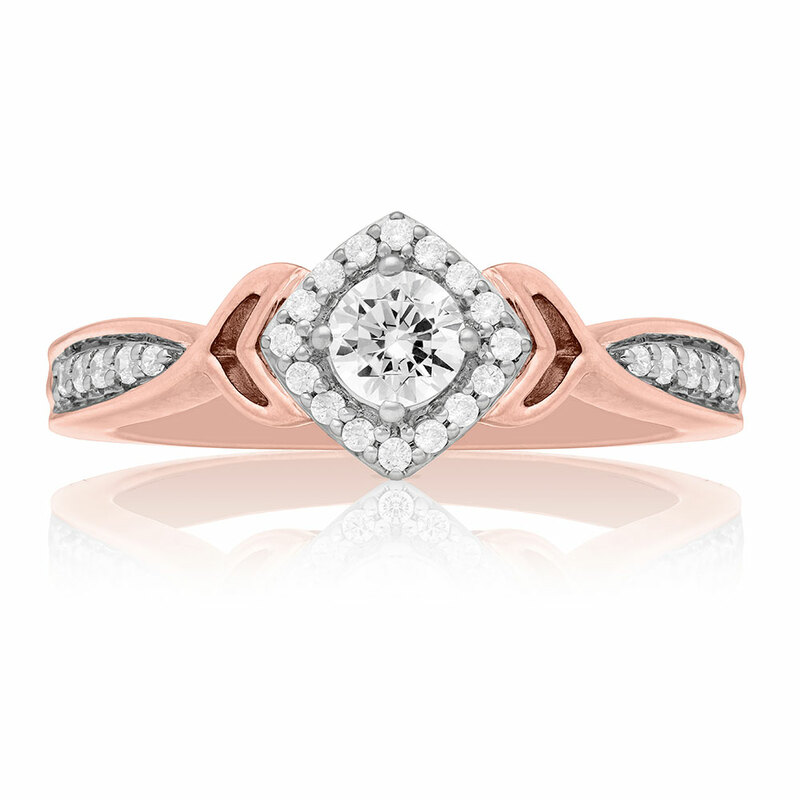 The center & accent stones have a total carat weight of 0.38 carats.